Guaidó 1; regime 0; foreign press out. And thus Juan Guaidó returned to Venezuela. Through the normal entry point in Maiquetia airport. He went in a triumphant caravan all the way to Caracas to attend a rally. That caravan and rally were immense. And more succesful than whatever show the regime had attempted to put up previous days to make us believe that carnival holiday was joyful, reflecting a happy and content nation. In short it was a major defeat for chavismo that had to bow to international pressure, and to a popular will favoring Guaido for which denial is now useless. True, several ambassadors were waiting for Guaidó in Maiquetia to shepherd him to Caracas. 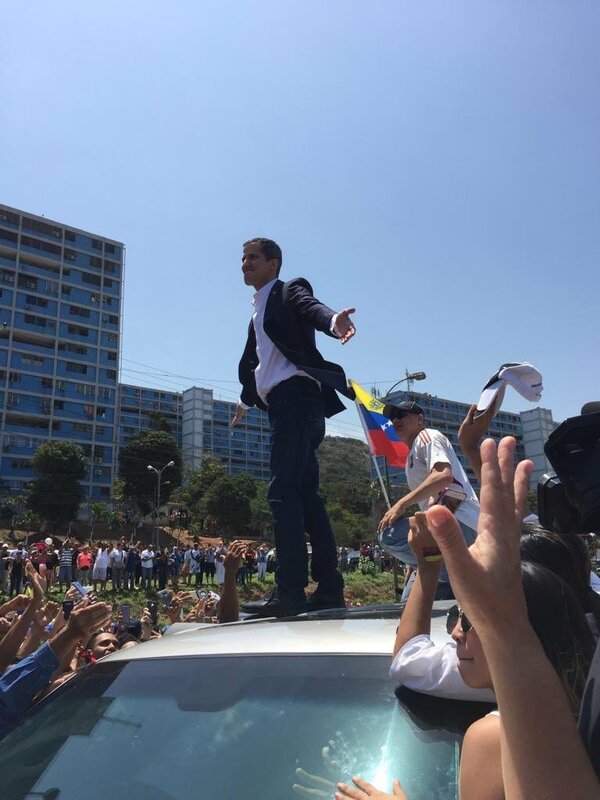 But had the regime wanted to arrest Guaidó it would have done so at customs, away from public glare, packing Guaidó in a helicopter to wherever. The fact of the matter is that the regime caved in, at least for now. Contrary to what many said, that the February 23 battle of Cucuta showed the resilience of Maduro, that battle was lost by the regime. Guaidó is the one imposing the agenda. His scene on the highway to Caracas when his caravan stopped in front of public housing to let Guaidó climbing on a car and wave the flag in front of a delirious crowd had a taste of the nails being planted on the regime's coffin. One of the amazing things for me following this from afar was how the press began slowly to bury Guaidó because he was unable to force the entry of the humanitarian aid. Was he? 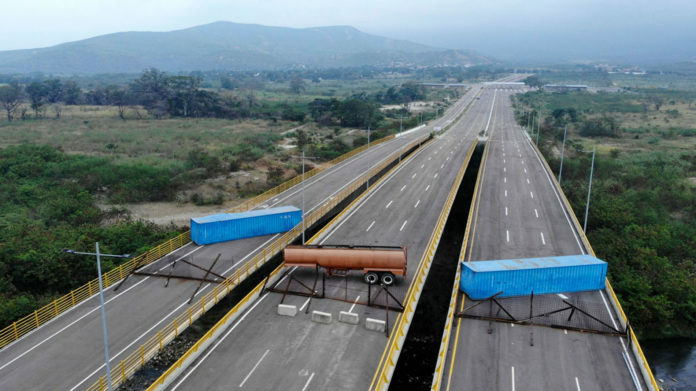 Nobody serious in Venezuela expected the aid to enter. We all knew that it was a show of strength, that the objective was elsewhere. How could so many papers, from the NYT down be so gullible as to write up for some that Maduro was resilient, that the opposition was on its way to yet another big disappointment and what nonsense. True, that battle to unseat the regime is far from won, but I am almost willing to find it somewhat suspicious for some US papers to be hinting to a premature Guaidó burial least Trump would be seen as scoring a point. I see this ship sailed. Now you can read many of them on Twitter tonight talking of a "pendulum" or some other flimsy explanation. Can't wait for the brainy exculpatory articles tomorrow. Since January 5 the opposition has had a strategy that it has remarkably followed. Guaidó was the one who decided to bite the bullet and take all risks. For whatever reason they all went along. For whatever reason it has worked out so far. He is collecting all the glory, but he is maybe a minute away from a bullet. All par for the course. The ill perceived failure of February 23 was not so. Guaidó was doing EXACTLY what he was supposed to do, rounding up support for the next move, taking advantage of the true vileness the regime was willing to display at Cucuta. Contrary to what many thought, expected, hoped for, Guaidó was not looking for a cozy exile spot, he was preparing his next moves, the one today being only the first one.